Akrti Aadeshwar is the new project to be launched by Akrti Homes in Sembakkam, off from Velachery - Tambaram main road at Kamarajapuram. 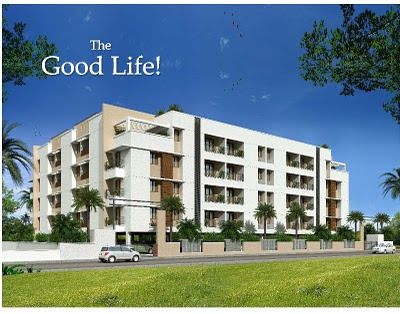 Akrti Adeshwar will offer 40 apartments with 2 and 3 BR, built on Stilt + 4 floors. The sizes range from 917 sqft to 1309 sqft. Private terrace space is available for select units on the fourth floor. The launch price is Rs.2695/sqft with additional charges as applicable for car-parking, registration and service tax. For latest project updates, add this blog to your Google Reader or follow us on twitter @placetolive.